Another lazy lunch at the Tasting Shed sharing & eating with little rose. The triple cooked potatoes with garlic & rosemary remain the best I have tasted. Perfectly crunchy on the outside & so terribly moreish. But one cannot live on potatoes alone! My favourites of the afternoon; Kingfish Sashimi with Sweet & Sour Grapefruit, Fennel, Fennel & Fennel & Asparagus with Dashi, Lime Leaf Butter & Sesame. Simplicity & fresh flavours wins again. Second time around again everything was wonderful. Fresh, bright flavours on an eclectic menu that includes Veal Sweetbread Banh Mi, Kokoda (a Fijian ceviche), Smoked Eel Fish Fingers & Pan Fried Hikuwai Sardines. With too many temptations & wishing to avoid plate envy we decided to share. The highlights; the Manchego Stuffed Fried Green Olives, crunchy on the outside & warm, melted, delicious Manchego on the inside. These were even a winner with my olive hater Mum. I also loved the Parsley Salad with capers, olives, anchovies, lemon & Parmesan atop crispy garlic crostini. Positively bursting with flavour, fresh with a little sharp tang from the capers & olives, savoury saltiness delivered by the anchovies. The third highlight, the sardines, pretty as a picture on the plate & so tasty. They perched atop wonderfully smokey eggplant & were topped with a bright salsa of olives, capers & peppers. I really want to make these, make that makes these again, Thinnest Oatmeal Cookies from 101 Cookbooks. Or next time maybe these ones? I don't think that these nuts should be reserved for Christmas. More like the perfect pre dinner snack any time of year, they are maple roasted with a little kick of cayenne. Homemade bitters! All sorts of inspiration at Not Without Salt to make your own herbal infusions that will liven up all sorts of cocktails. I say cheers! Bright & fresh I think this for dinner sometime soon. Greek Style Preserved Lemon Chicken from Jamie at Life's a Feast. And to cool down on one of our hot summer's days what about one of Emma's pineapple & mint Popsicles? 30 new sculptures exhibited along a stunning 2.5km walkway around the beautiful coast of Waiheke Island. See: The Intouchables & Argo ...loved them both. Read: Who Put the Beef in Beef Wellington? & The Flavour Thesaurus. A spectacular Auckland Summer. We have been basking in the most wonderfully sunny days. Ponsonby Central opened late last year. For months we had been teased with “coming soon” & finally it arrived. It is an old warehouse that has been transformed in a central city market place filled with fresh produce & various eateries & cafes. And I am happy to say it hasn’t disappointed, what a transformation. Toru sits in the middle of Ponsonby Central with outside seating on the Ponsonby Road side allowing for a little people watching. I’d read about it over at Gather & Hunt, where they are always up with the play on new additions to the Auckland cafe scene. It’s my go to for finding somewhere new for our weekly Friday breakfast not to mention lots of fun things to do & places to visit in Auckland. Being a sister cafe to Teed St Larder in Newmarket & Wai on Waiheke Island the bar was set high from the get go, pedigree siblings indeed. Toru is light & airy with bare wood floors giving it a little bit of a rustic feel, albeit a cool, trendy, urban rustic. On the counter there are sweet treats and macarons in big oldy worldly glass bell jars tempting you to indulge. Breakfast got off to a great start, a table secured streetside in the early morning Auckland sunshine & a good strong black. Coffee here is Three Beans & delivered my requisite morning hit. On the menu some welcome surprises especially for those with a sweet tooth French toast with pineapple curd, lime and coconut or fresh berries with buffalo yoghurt, baby basil and raw honeycomb & not to forget ricotta pancakes with whipped salted caramel butter and vanilla sugar. On the savoury end of things there are eggs Benedict with pork belly, smoked kingfish or goat’s curd & spinach or colcannon with corned beef, sauerkraut, crème fraiche and poached eggs. All sounded tempting but the winner was the Indonesian-style Waikanae crab omelette with sambal, kecap manis & spring onion. 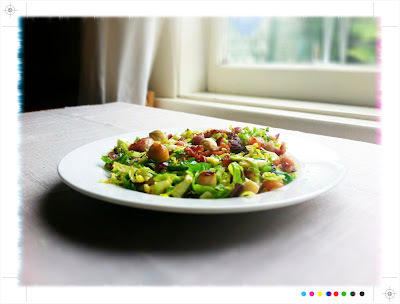 Fresh, light & great way to waken up your taste buds, not a morsel was left on the plate. For my breakfast buddy scrambled eggs & bacon which were also scoffed. Not only was the food full of flavour, it was beautifully presented, the sambal with my omelette arriving on the side in a tiny glass jar. Even better along with good coffee & good food was the service; friendly, attentive & helpful. So Toru, like her siblings, gets it right on all counts. Another cafe in Ponsonby Central is the Foxtrot Parlour, fronting on to Richmond Road beside Little Bread & Butter. Again a great long black, which I find is always a good test of a cafe, it just gets you off on the right foot when it is good. We were there for breakfast but the cabinets were full of delicious looking food, sweet & savoury. We had our standard issue scrambled eggs & they were rich & creamy, with a little crispy bacon on the side a good start to Friday. Right next door to the Foxtrot Parlour is Little Bread & Butter. I can’t go passed a good bakery & this one is brimming with fresh baked breads & pastries that entice you in. It is Paris Berlin bread & all the loaves are organic & there’s a wonderful selection to tempt you. For me it was a sourdough baguette for the evening BBQ & I could not help but be taken in by the Bergstieger. Such a wonderful name, a rustic wholemeal rye loaf ,that as it’s names suggests it is not a shy loaf, it is a little heavy & I love the almost treacly flavour the rye delivers. Another favourite loaf of mine is their fitness loaf packed with carrot, sunflower & pumpkin seeds which will happily tide you over until lunchtime. I managed to pass on the pastries & sweet treats this time around but I am sure there will be a return visit. 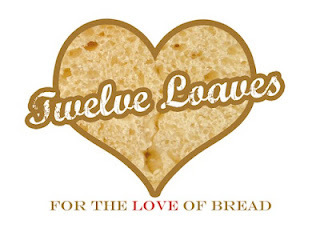 The theme for January’s Twelve Loaves is a clean slate. Perfect for the start of the year, though it is already flying by & soon we will be in February. Much as each moment or day can be a clean slate, starting anew each new year is always filled with so much promise, another chapter, another 365 days to achieve a few more goals, overcome a few challenges. For me everything always seems so much more doable at the start of a new year, it seems a little easier to aim higher with a little more confidence, a time to strike while the iron is hot. And for me it is not so much resolutions or things I will give up or try to do less it is more a matter of what I want to do, what I want to achieve, what I want to do better. So with a clean slate in mind & appreciating a little simplicity as we start the new year here is a loaf packed full of goodness. So it delivers on the goal of eating more of what is delicious but also good for me & also to baking at least 12 loaves! This is the perfect slice to kick start to your day. It is not a shy loaf, it is a little weighty, which I like. Dense & packed full of seeds make it feel substantive & filling. It is a loaf that will leave you feeling satisfied & happily see you through until lunch time. Play around with the seeds. Pumpkin or sesame seeds would also be welcome additions. Sunflower seeds, flax seeds, chia seeds and oats, for a seedy topping. *LSA is a mix of linseed, sunflower & almond that is rich in fibre for good digestion & healthy cholesterol. It is also a source of Omega 3 & 6 fatty acids which are good for your heart, skin & cholesterol. It can be sprinkled on cereal, yoghurt or added to baking. Place the flours, oats, seeds, yeast & salt in to the bowl of a mixer with dough hook attached. Mix together & then drizzle in the water slowly until the dough comes together. You may need all or not quite all of the water, just drizzle n enough that it all comes together. Knead the dough for 10 minutes until it is smooth & elastic. Place the dough in a large oil bowl & cover with clingfilm. Leave the dough to rise in a warm place until it doubles in volume, around 2-3 hours. Once double in volume punch it down & leave it for another 10 minutes. Turn the dough out on to a floured surface & shape it in to an oblong loaf that will fit your loaf tin. Place the loaf in the tin & sprinkle with more seeds & oats. Cover again with plastic wrap & leave it to rise again for 30-40 minutes until again double in volume. Preheat your oven to 190C /375F & then back the loaf for 40-50 minutes until baked through. The bread is ready when you tap it & it sounds hollow. Remove from the oven & leave to cool before slicing...if you can...I always have to cut just a wee sliver & spread it liberally with butter. 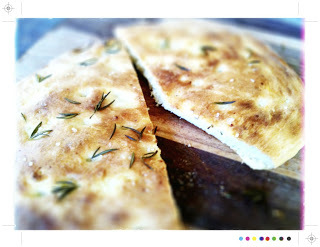 Solid & dependable, comforting & satisfying, that is how this bread feels. No wishy washy airy fairiness here! A crunchy crust enveloping all that seedy goodness. This my entry for this month’s 12 Loaves hosted by Lora The Cake Duchess. I recently had friends over from the UK & they popped round for a little lunch in the sun. We have been enjoying the most spectacular Summer here this year which has made it very difficult to get back in to work mode. It gets to mid-afternoon & you still feel like you should be opening a bottle of something chilled that is not water & preferably post a little afternoon snooze or siesta. The said friends I hadn’t seen in 12 years & totally forgot one was a vegetarian! Fortunately there are always plenty of vegetables on hand & these hot summer days reminded me of Valencia & platters of grilled vegetables we used to have alongside the tapas & aqua de Valencia…see it’s mid afternoon & that craving for something chilled is kicking in… the Valencian’s have the best “agua”. Traditionally it is cava topped with orange juice & a little vodka & gin. The perfect afternoon tipple in the sun. It was first made in 1959 by Constante Gil in the bar Café Madrid de Valencia. A group of Basque travelers were regulars for a time & used to order “Agua de Bilbao” meaning the best cava that the bar had on offer. Wanting a little variety they challenged Constante to come up with something new & that something new was "Agua de Valencia" which by all accounts went down a treat & became a favourite tipple for the travelers. I digress, back to the vegetables. If you are having a BBQ & feeding a crowd & it includes vegetarians this is great dish, substantial, pretty & a little more interesting than lettuce & tomato. Non vegetarians will also love it. Even better it can be made ahead leaving you more time to catch up properly & make the most of time with old friends. Here’s what I used...but sweet corn, aubergine, tomatoes, carrots, squash, potatoes, kumura would work too. Really, try anything you think that you can grill. With the dressing, again you can play around with what you have herb wise & if, like me you like your dressings on the tarter side just add a splash or 2 of more vinegar. Dill or rosemary could work as could the addition of a few capers. I also think a little goat’s cheese crumbled over the top wouldn’t go amiss. Fire up the BBQ or heat a griddle pan over medium heat. I recommend the BBQ as all the veg can be grilled at once rather than batch by batch unless you are luck enough to have one of those large cast iron griddles that are like a BBQ for the indoors. Toss the vegetables in a little olive oil & then place on the grill. Grill all the vegetables until they have a few griddle marks & are just cooked through. Once cooked remove from the grill & place on a platter. For the dressing place the herbs, garlic, lemon zest & juice & the vinegar in a food processor & whizz to combine. Slowly drizzle in the olive oil & whizz until well combined. Season to taste & add more vinegar or olive oil if you need to adjust to suit your taste. You are looking for a herby, vibrant green emulsion that can be gently drizzled over the vegetables. Drizzle the dressing over the vegetables & very gently toss with some tongs to coat. 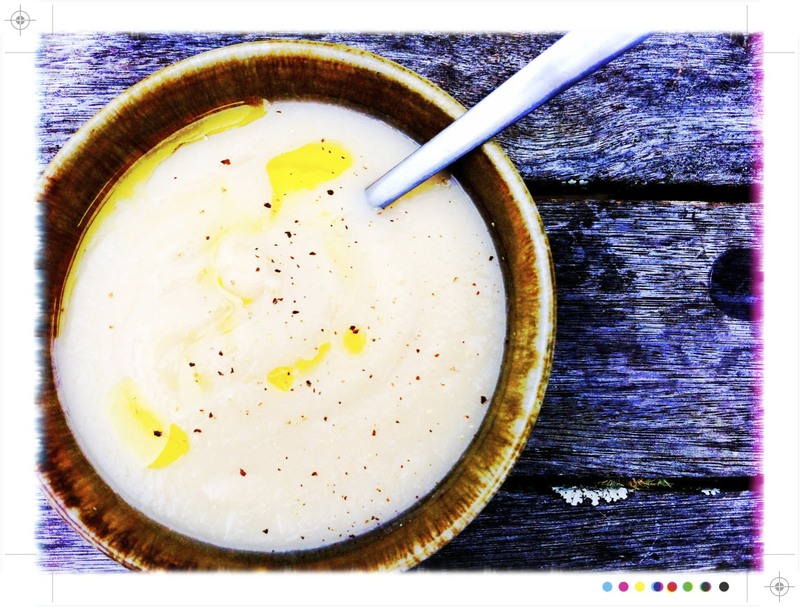 Set aside to allow the flavours to meld & then serve at room temperature. The fresh green parsley & cool mint alongside the fragrant basil piping up to remind you that it is indeed Summer make for a vibrant companion to the grilled vegetables that all develop a sweetness when grilled. And to finish off a little, or a not so little, slice of Mum's pav which tasted just as good as it looked. Breakfast, the most important meal of the day, even Pooh thinks so. The kick start you need to get moving. I love breakfast along with a strong long black. I have even known to have breakfast for dinner on occasion as so easy to whip up satisfaction & comfort in a matter of minutes. I generally veer towards the savoury & being a lover of eggs in all their incarnations the possibilities are endless; poached, scrambled, baked, frittata, omelette, fried. And they are friends with quite a menagerie of flavours, lashings of salt & pepper, crispy bacon, salmon, chives, chilli or chorizo for a spicy kick in scrambled eggs, sautéed mushrooms & of course soldiers. 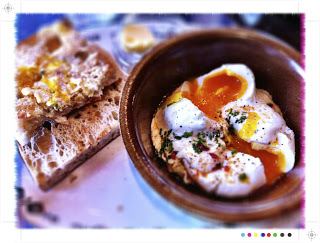 A favourite & frequent breakfast for me is soft boiled with soldiers & the yolk must be runny. You must be able to dunk the soldiers in to an oozy, gooey golden yolk; one of life's simple, yet wonderful pleasures. My all-time favourite breakfast, the Turkish eggs at Queenies. Much as the rest of the menu is tempting I think I have only ever been able to go past the Turkish eggs once. So if you are ever in Auckland that would be my breakfast pick. Perfectly poached eggs ( i.e. runny yolk obligatory) on smokey babaganoush topped with yoghurt & a generous drizzle of hot, browned chilli butter with toasted Turkish bread on the side to ensure that you can mop up every last mouthful. However, reading through the latest issue of Cuisine it was this sweet take on breakfast that took my fancy, well slightly sweet & a little zesty & fruity. A little bit of a treat & perfect for a New Year’s Day Breakfast. The wholemeal – ness of these pancakes appealed, a little goodness wrapped up in the indulgence. So the sense of balance appealed & seemed an appropriate start to the New Year. On the side passionfruit spiked cream cheese & mango, again goodness wrapped in a little indulgence, not to mention passionfruit & mango just a little bit exotic. For the passionfruit cream; place all the ingredients in the bowl of a food processor & whizz to combine until smooth. Divide the cream in to ramekins or small bowls & place in the fridge to set for an hour or so. Or you could do the day before. For the pancakes sift the flours, baking powder & sugar in to a bowl & add back in the wholemeal & stir to combine. Make a well & add the egg yolks & vanilla extract. Whisk to combine & then add the milk little by little & keep mixing. You may not need all the milk, stop once the batter just runs off the edge of a spoon. In another bowl whisk the egg whites to soft peaks & then gently fold them in to the batter. Set the mixture aside to settle for 20 minutes or if planning ahead the batter can be made the day before & popped in the fridge overnight. When read to fry your pancakes pre heat your oven to 100C /200F. Add the butter to a frying pan over medium heat & once3 melted you are ready to fry. For each pancake add a ¼ cup of the batter to the frying pan & cook in batches for 2-3 minutes each side until golden. Place in the oven to keep warm while you fry the rest of the pancakes. To serve pile 2 or 3 pancakes on each plate, top with mango & blueberries & dust with icing sugar. Garnish with a few mint leaves & serve with passionfruit cream. This may well be my new favourite pancake recipe, toasty & golden, light & fluffy, & just a little more substance than normal. The zesty cream cheese & fruit bright & fresh companions. The perfect balance of goodness & indulgence to kick of 2013 & really how I would like to continue. “Her cuisine is limited but she has as good an idea of breakfast as a Scotchwoman."